THD Diamond Day Trading Package Purchase Take control of your trading! The Diamond Day Trading Indicators for TradeStation, NinjaTrader or Multicharts provides traders with the trading indicators and training they need to be successful in today’s volatile markets. The Diamond Trading Package provides traders with an abundance of tools and training for trading futures, forex, stocks, binary options and spreads. With this trading package, traders can now take control of their trading with our unique scanning and charting indicators that instantly notifies you when a trade is setting up with sound, email and text alerts. The Diamond Package includes ten of the most popular TradersHelpDesk's indicators, online training, workspaces or templates, installation, documentation, and both Guide to Trading Today's Markets in 90 Days (beginners and advanced) online courses. A one-time price of $2,895.00 will be added to your order. Categories: Trading Packages on Sale Now! 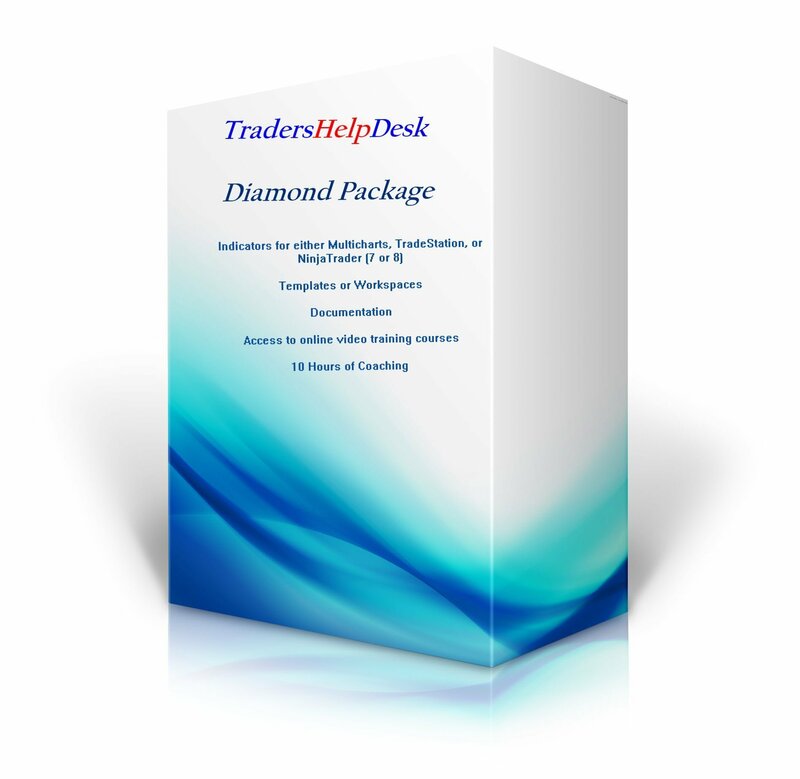 The TradersHelpDesk's Diamond Package is one of the greatest packages for traders! It includes the ten of the most popular TradersHelpDesk's indicators, online training, workspaces or templates, installation, documentation, and both Guide to Trading Today's Markets in 90 Days (beginners and advanced) online courses, as well as help design a trading plan that you understand. This video shows how powerful this combination of indicators are on futures, forex, stocks, options, binary options and spreads. Additionally, support and upgrades for your indicators are included. Additionally, this package includes documentation, templates (or workspaces), installation, and both Guide to Trading Today's Markets in 90 Days (beginners and advanced) online courses.